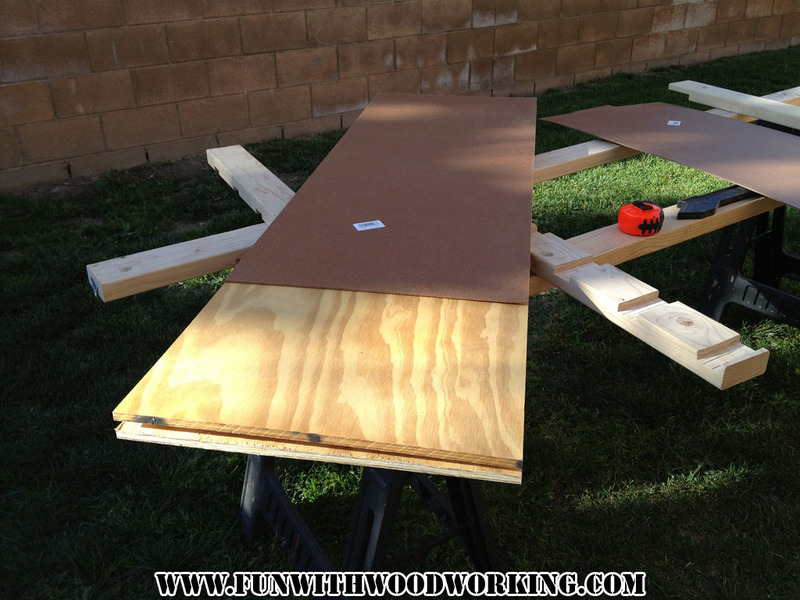 The plans called for making the benchtop out of 3/4″ plywood. I’ve had this sheet of 1/2″ plywood in my garage forever. 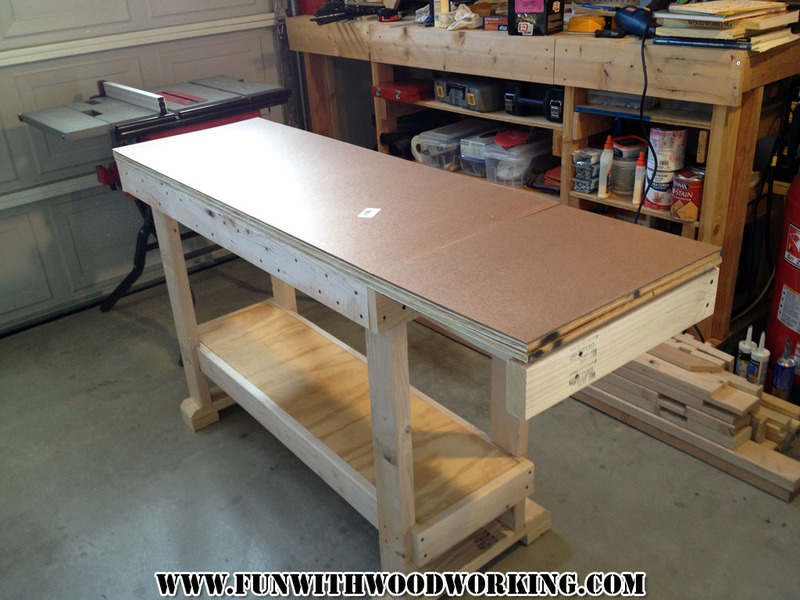 I planned out all my cuts and I was able to make the bench top and bottom shelf with 2 layers of the 1/2″ plywood. I made the tray bottom out of 1 piece. 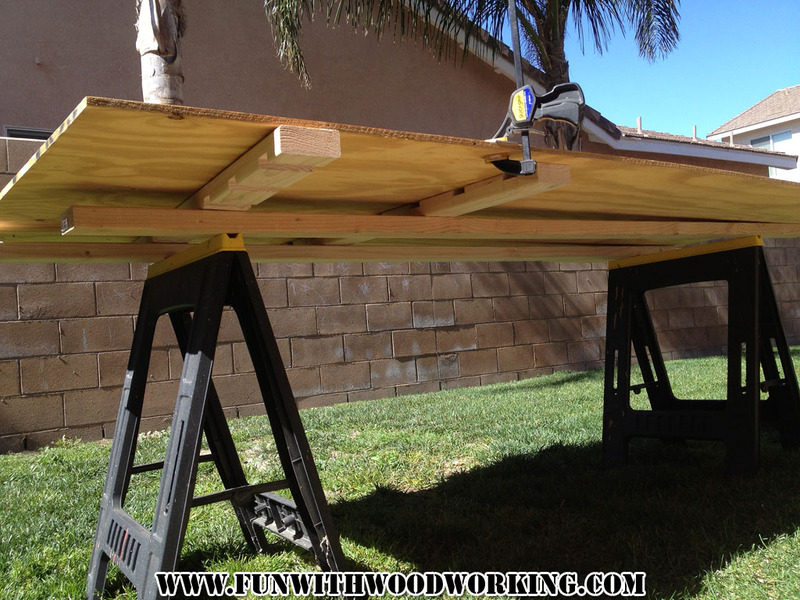 I set up the 4×8 sheet on my 2 sawhorses with 2×4’s running the length for support. 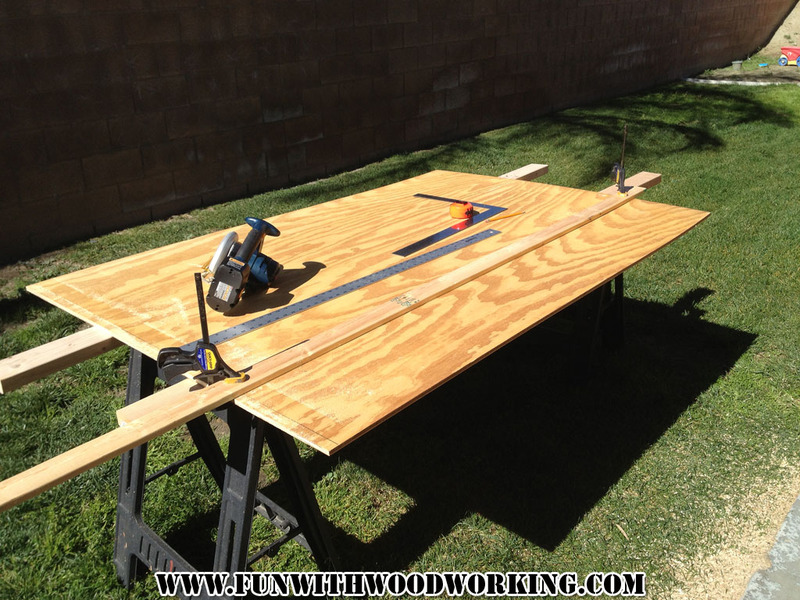 I also set up a straight edge to run my cordless saw along. 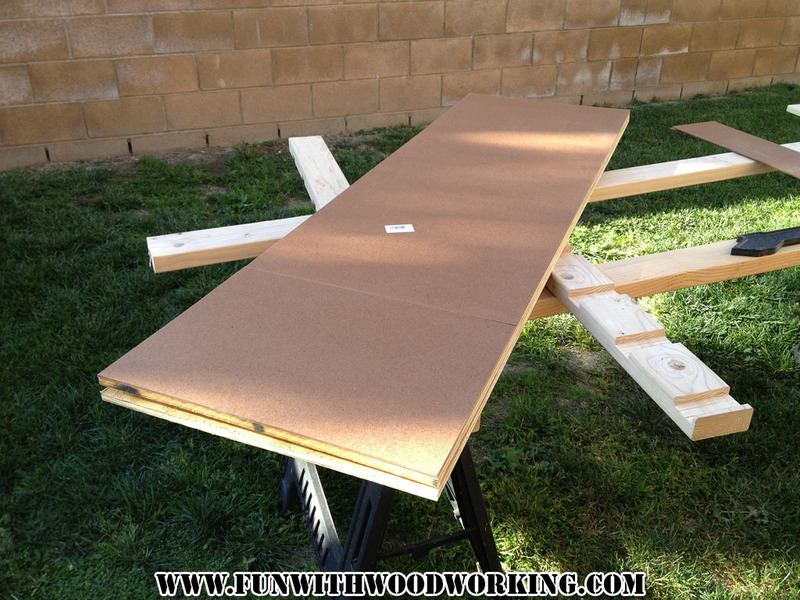 This end will be cut off here and then cut into two matching pieces to make the bottom shelf. 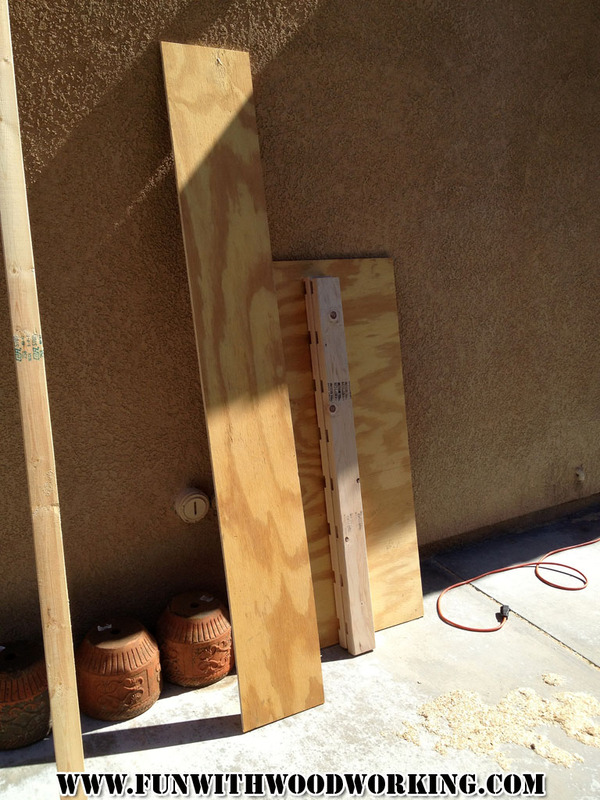 I also set up two scrap pieces of 2×4 to support the wood when I cross cut it. I checked the far corner and it is pretty square so I clamped a 1×3 down to use to cut the piece for the tray bottom. 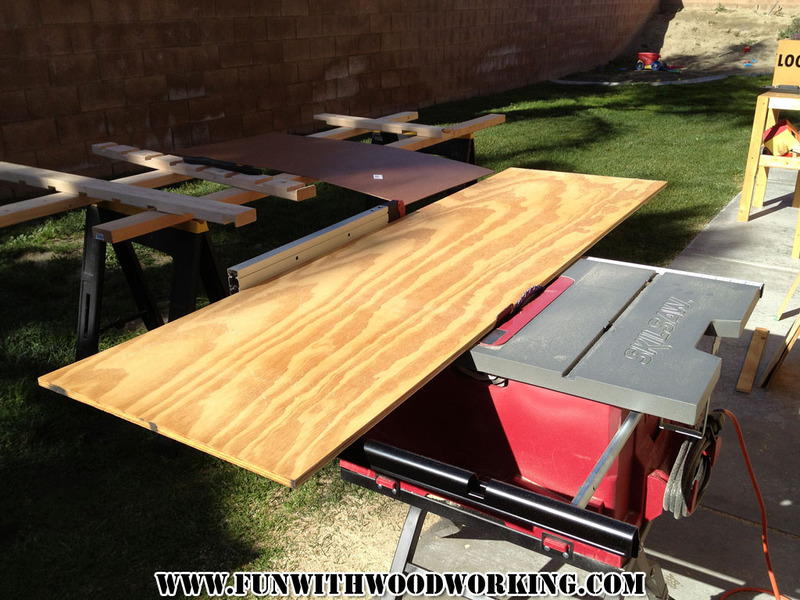 I gave it a couple of extra inches and will cut it down to size on the table saw. This will make sure that the side cut with the 1×3 ends up being square. 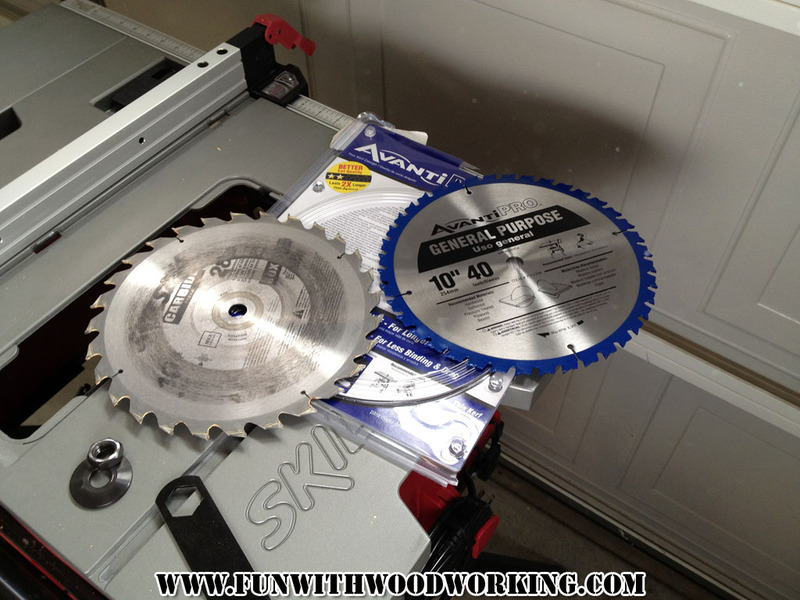 My table saw came with a 28 tooth blade. I bought a 40 tooth blade a couple of weeks back and I am finally getting a chance to try it out. Here is the tray bottom and shelf top cut to size. 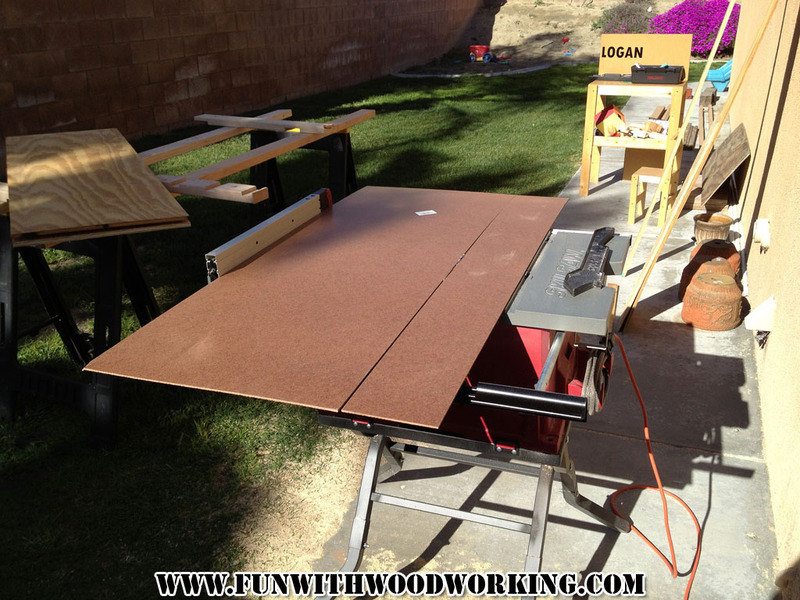 The 2 pieces for the benchtop have been cut to size. 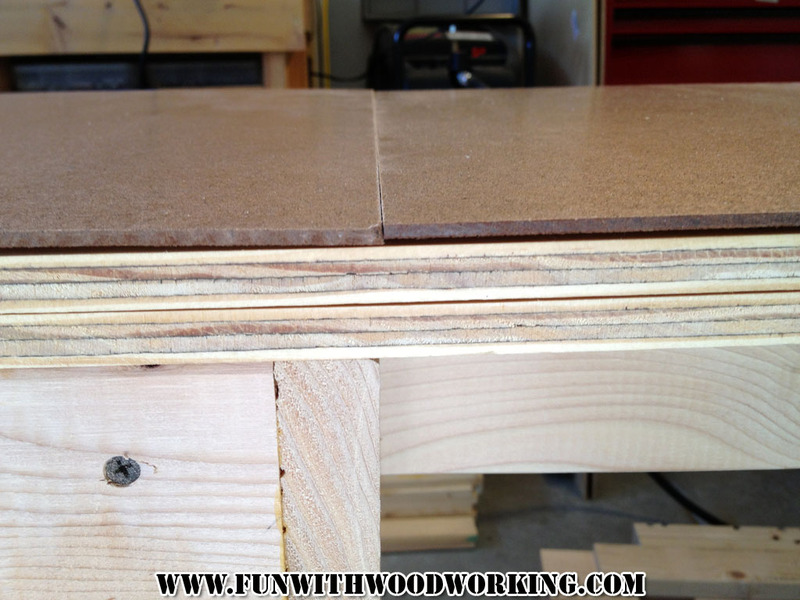 I cut the hardboard to width using the same settings that I used on the plywood. I didn’t want to have to deal with the leftovers of a full sheet of hardboard so I bought 2 smaller pieces that fit in my car. I bought 2 because they were not long enough to cover the length of the benchtop. 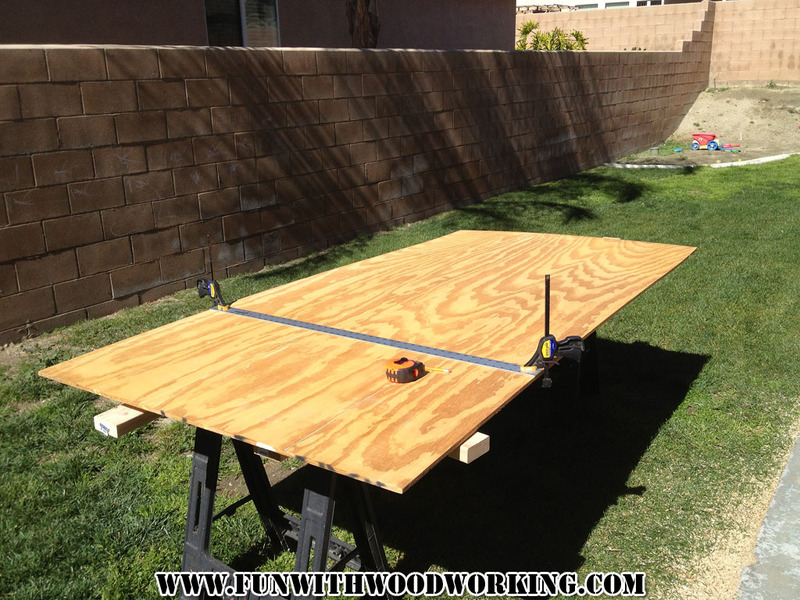 I cut the hardboard so that the seem would be located where I need to cut the top out for the moving dog block. Here’s the first dry fit.